influence duty bearers. Youth with disabilities have limited opportunities to participate in leadership opportunities yet have the potential to be strong agents of change as they have the energy and idealism about the world they see around them. Technology can break down barriers to participation and it holds great potential to affect governance in developing nations. It can influence how citizens voice concerns, claim their rights and how leaders govern. 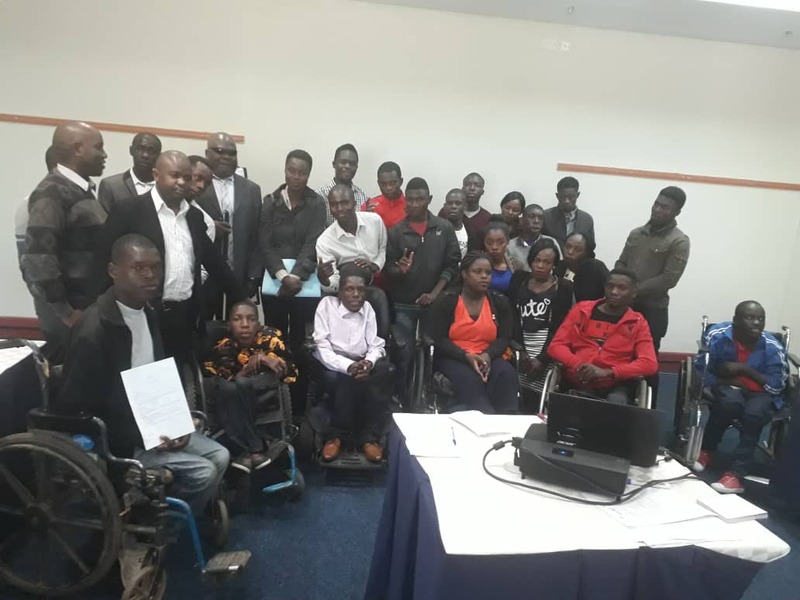 With this background in mind, ZAFOD- with technical and financial support from #LeonardCheshire and #OnOurRadar- is implementing a project to train youths with disabilities as Citizen Reporters. The Citizen Reporters will be interviewing persons with disabilities in their communities and feed the stories into the Radar reporting hub (which was developed by #OnOurRadar). These stories are based on Problems and challenges that young people with disabilities face in their communities in relation to the three SDGs i.e. Health, Education and Decent Work. The stories that are gathered can be used to create an evidence base to present to duty bearers to improve the lives of people with disabilities. This will be done through both social media and advocacy events – where policy makers will be invited to listen and respond to the evidence. In line with the project plan, ZAFOD conducted its first two-day Citizen Reporters Training Workshop on Monday 11th and Tuesday 12th June 2018. The workshop drew participation from twenty youths with different types of disabilities.